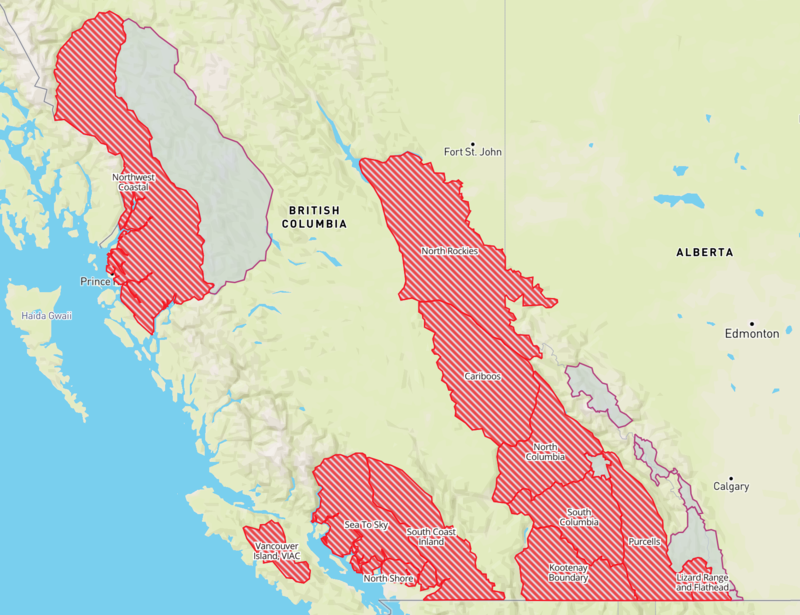 Avalanche Canada issues Special Public Avalanche Warning for B.C. Avalanche Canada has issued a Special Public Avalanche Warning for recreational backcountry users. The warning will remain in place until the end of day Sunday, Dec. 16. The warning applies to most mountainous regions of B.C., including the Sea to Sky corridor. The warning comes following a prolonged drought in late November and early December, coupled with a series of recent storms that have dropped “a significant amount of snow,” across the province—including 50 centimetres atop Whistler and Blackcomb mountains on Thursday, Dec. 13. According to Avalanche Canada, the new snow is not bonding well to the already-existing surface that formed during the drought. Avalanche Canada is warning anyone looking to access higher elevation terrain this weekend to be aware of this hazard, including skiers and boarders who leave ski resort boundaries and snowmobilers riding at or above the treeline. “Everyone in a backcountry party needs the essential rescue gear—transceiver, probe and shovel—and know how to use it,” added the release. Backcountry users are also reminded to always check the current avalanche conditions at www.avalanche.ca before heading out. In addition to the Sea to Sky, the avalanche warning is also in effect for the following Avalanche Canada forecast regions: Lizard Range and Flathead, Purcells, Kootenay Boundary, North Rockies, South & North Columbia, Cariboos, Vancouver Island, Sea-to-Sky, South Coast, South Coast Inland and Northwest Coastal. For a map of the regions involved, click here.